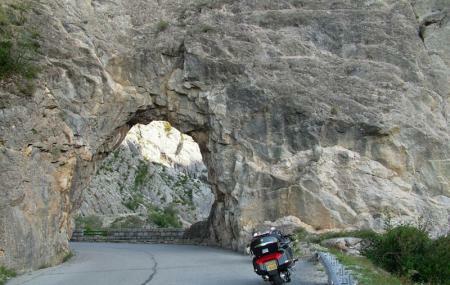 The scenic beauty from Route Napoleon is what it is famous for. The snake like twists and turns with pleasant surroundings makes the ride/drive worth the while. Every turn on the route will give you exquisite sights of small towns, snow covered plains, snow crowned mountains, lakes and more. If nothing else, take the route to experience a pleasant drive and the magnificent scenery. Don’t mist to scenic view from Route Napoleon. Carry a camera because the place is perfect for photography. How popular is Route Napoleon? People normally club together Plan D'eau Des Ferreols and Eglise Protestante Unie Digne Les Bains while planning their visit to Route Napoleon.